WordPress continues to be the most predominant web publishing platform around, and the many years it’s had that title is a testament to just how intuitive, versatile, and capable it is for taking your content and making it presentable on the web. The old adage ‘if it ain’t broke don’t fix it’ certainly applies, and while WordPress is elementally the same as it was when first rolled out in 2003. Here at 4GoodHosting, we’ve always had a front row view of just how well embraced WordPress is in the digital world, and in addition to be a quality Canadian web hosting provider we also try to have our thumb on the pulse of as many aspects of the industry as we can. Page rankings are going to be important for anyone who’s on the web for commercial or promotional purposes. In fact, 61% of marketers say improving SEO and growing their organic presence is their number one priority. So this week we’re going to share a handful of WordPress plug-ins that are a breeze to install and will serve to improve your site SEO. Feel free to regard Yoast as the Maserati of SEO plugins. It’s usually the first one that will be recommended by an experienced marketer. It is incredibly easy to use and can help you optimize multiple aspects of your WordPress site, addressing and optimizing your URL, meta description, chosen tags, keyword density, internal and external links, and content readability. 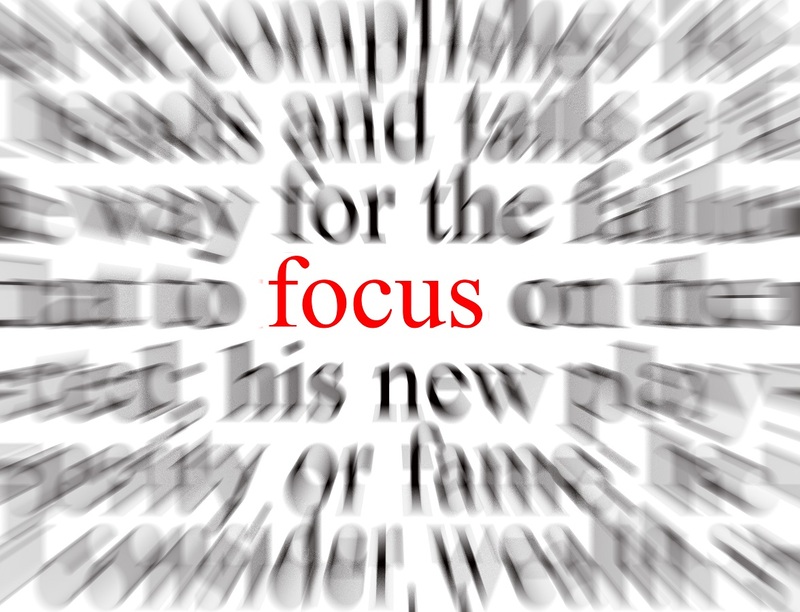 It works by first selecting a focus keyword. Next, it will analyze your SEO and provide recommendations on where improvements could be made. Green indicates you’re good as is, orange means your page needs some work, and red means you need to start from scratch as there’s multiple deficiencies. Yoast will then serve up specific actions you can choose to move ‘up’ in the colour spectrum. Even if you’re decidedly technically inept, you’ll likely have your SEO amped right up with this plugin. Yoast definitely takes top spot, but this is quite likely the second best overall SEO plugin (plus the 3+ million installs to date suggest it’s effective). All in One SEO pack was first developed in 2007 and has evolved over the past 10 years to meet the majority of demands today’s SEO marketers tend to have. Essentially, it addresses all of the major elements of effective SEO and – like Yoast – it works with WordPress like a charm. SEOPressor also gets high marks from us. This plugin works under the same premise as Yoast and the All in One SEO Pack, delivering comprehensive on-page SEO analysis, as well as providing tips for improvements. SEOPressor is great as an ‘insta-advisor’, helping you make ideal small tweaks and adjustments that will boost your overall SEO quality. Also, like the preceding two, you don’t need to be anything of a ‘computer whiz’ to get installed and going to work for you. When top SEO experts like Neil Patel of Kissmetrics and Brian Dean of Backlinko endorse a plug-in, you can A) know it’s good stuff, and B) trust it’s been designed for non-SEO experts. How SEO SQUIRRLY differs from other plug-ins is that it puts an emphasis on helping you create content that’s designed equally for both search engines and human readers. The importance of this is in the fact that Google places a strong emphasis on positive user experience when orienting their ever-changing algorithms. Image optimization is typically a lesser consideration for your WordPress-based site, yet it’s a critical aspect of SEO, and that’s often overlooked. It’s important to ensure that search engines are able to understand the content within your images. SEO Optimized Images is a WordPress plug-in that makes it easy for inserting SEO-friendly alt attributes dynamically, along with adding valuable title attributes to your images. Long story short, it streamlines the often-laborious process of optimizing the website’s content. Any reputable and experienced SEO marketer will tell you that internal linking is of paramount importance for creating a strong link profile. This serves to create better indexing in search engines, it points visitors to other helpful content they may be interested in, which can increase the average amount of time spent on your site. This is a plugin that takes the guesswork out of internal link building and streamlines the process very impressively. Further, SEO Post Content Links also helps you create proper anchor text that matches current best practices. Here’s another plugin that’s proven effective for optimizing your site’s internal link structure. Directly from its WordPress description, SEO Internal Links ‘can automatically link keywords and phrases in your posts and comments with corresponding posts, pages, categories, and tags on your blog.’ Enough said? Very likely. SEO internal links is ideal for anyone who’s not so savvy with linking or having a sound understanding of the value of linking and indexing for the website. In a nutshell, SEO internal links is a convenient way to create internal links, while at the same time avoiding black hat SEO practices that could backfire on you big time should you choose to employ them. Quite plainly, don’t. The damage you can to your site’s credibility in the eyes of the search engine bots isn’t worth the benefits you may get, not at all. Here’s to you trying one or more and seeing your SEO get a much-needed push up the hill! 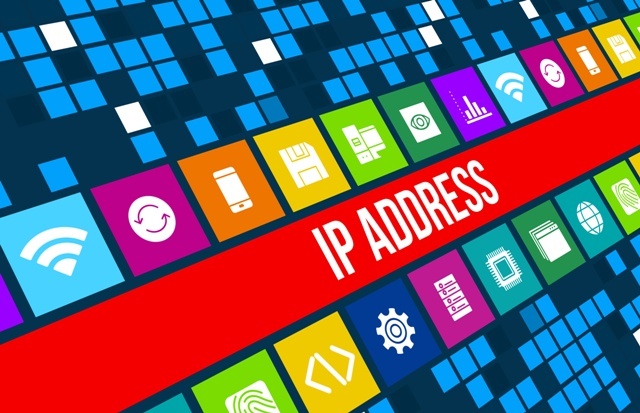 Before any website makes its way up onto the information superhighway, the domain name attached to it must be registered with a hosting provider. Here at 4GoodHosting, we’re a top Canadian web hosting provider among many and we can certainly take care of that basic and straightforward formality for you. What we’re going to discuss today, however, is the way that your domain name’s extension (.com being the most common) can have direct and measureable results on your SEO, and search engine ranking more specifically. Let’s review the basics briefly; a domain name is a unique internet address that is made up of a name and extension (such as .com, .ca etc.). This extension is also referred to as a Top Level Domain (TLD) and it is the most relevant part of your domain name. We’ll move now to putting you in the know with factors that influence choosing the right domain extension and how it dictates your SEO rankings in a significant way. In the infancy days of the Web, domain extensions were initially introduced to facilitate browsing across different domains. 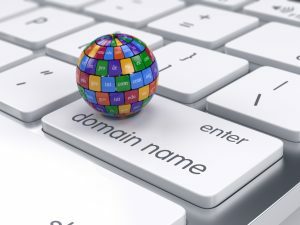 There were 6 general top-level domains (gTLDs) marketed to folks looking to get themselves up and running, and we saw different domain extension for different types of organizations. Some may be surprised to learn that the .com extension was actually introduced for websites for commercial purposes, and has nothing to do with the term computer. Much more common nowadays are domain extensions with a country code, also known as country code Top Level Domains (ccTLD). These took off between 1985 and 1990, and examples of these types website name domains are .ca for Canada, .kr for South Korea (who have the fastest internet speeds in the world) .in for India, .co.uk for the United Kingdom, etc. 1998 saw the creation of the Internet Corporation for Assigned Names and Numbers (ICANN), an international nonprofit organization designed to keep the Internet secure and stable. New gTLDs were released in 2001, including .info and .pro, designed for informational websites or those representing certified professionals. The number of domain extensions has quickly expanded since. There are now even domain extensions that utilize Arabic characters instead of the usual Latin characters. A complete list of all extensions (with Latin characters) can be referenced at the Internet Assigned Numbers Authority (IANA) website. A ccTLD provides Google with the strongest and clearest indication of where a website originates. Provided all other SEO factors are equal, the ‘example.com’ website will be better ranked by Google than an ‘example.ca’ or ‘example.co.kr’. The primary disadvantage of a ccTLD is that you will be required to purchase a new extension for each language, which will add to the cost quite considerably. Further, Google’s crawlers (aka ‘bots’) do not recognize multiple websites as one website because they have different extensions. Each website must develop its own authority. By authority we mean the value that Google assigns to a website. More authority results in Google’s bots staying on the website for a longer period of time and indexing deeper pages of the site. This of course is very beneficial for SEO. Higher authority leads to a greater likelihood that your site will rank high on Google’s SERPS (search engine results pages). There are other factors that determine how well a website performs in this regard, and in fact Google uses more than 200 signals to determine which results are most relevant. Generic domain names are increasingly popular these days, with examples like .pizza, .amsterdam and .club, websites that distinguish the nature of the business or venture very explicitly. People continue to speculate about the advantages and disadvantages of these new extensions as they relate to search engine rankings. Google has shared that the new TLDs are not more likely to score high with Google than older TLDs or ccTLDs. However, there are several examples that suggest otherwise, at least to some extent. Coffee.club is one of them. It climbed to the first page in Google US search results within the span of a week. That’s worth taking note of, as it takes a lot of time to get to the first page on Google US, and that can be true even if you’ve built up plenty of authority. Coffee.club was purchased in November 2014 and received several links from authoritative websites that announced the transaction. The backlinks had 80% of ‘coffee.club’ as clickable text, and one week after the launch the website was already on the first SERP for the term ‘coffee club’. We can understand that when a gTLD (in part) matches a keyword you want to match in Google, it counts only links with the domain name in the clickable text. Simply, ‘coffee.club’ is interpreted by Google to be “coffee club”. In such instances a TLD with a relevant keyword will indeed have an SEO advantage over a traditional TLD like those ending with a .com. Google still insists that there is no advantage or disadvantage to having a new gTLD, stating that each gTLD has the same opportunity to rank well. With a gTLD, it is possible to specify which country the website is intended to serve within the Google Search Console. This of course is done via international targeting, but keep in mind that when you expand your website with a different language you must adjust or disable international targeting. Your best choice for a TLD will depend on a number of factors. Want to score well on Google.com? Then you’ll be best served by choosing the overall top level domain, a .com. Conversely, if you only sell products in Canada, you’ll be wise to choose the .ca extension. Google will then recognize that your website is intended for the Canadian market and that your aim is to score better on Google.ca. It continues to be that SEO is often not taken into account when people are weighing which TLD extensions is best for them. For example, there are websites that buy a ccTLD so the website has a nice name and is easy to remember. For example, ‘autorepair.ca’ may seem like the ideal choice for the nature of your business, but it’s probably not going to score well on Google.com. This is because you indicate to Google with the .ca extension that your website is taking aim at the Canadian market explicitly. When your website is in fact targeted to a specific country, though, it is advisable to choose the ccTLD of that country. In this case, you may need to purchase a new domain with another TLD at any international expansion. The country-specific nature of the ccTLD will definitely have a positive impact on your search engine results. When you go with a gTLD, Google will not see it as a .com, .pizza, or .whateveritmaybe. GTLDs have as much chance to score well and as a result do not affect SEO status of your website. And yet, even while Google insists on the validity of that, there are cases like those coffee.club mentioned above that show that links with only the domain name in the clickable text are counted in Google search results. This is the case when a gTLD will create a partial match with a keyword you want to match. Also – last but not least – go into your Google Search Console and make sure to set the international targeting to the right country. Multiple Domains for the Same Company: Yea, or Nay? Here at 4GoodHosting, it’s our mix of solid hosting, competitively priced packages, and excellent customer support that makes us a good Canadian web hosting provider, but we feel another aspect that sets us apart is the level of insight we have into our industry and all of the subject offshoots that come from it that will be of interest to our customers. Having multiple domains means carrying more than one website for the same company. The general logic is that it’s especially wise to do so if you have a product or service that appeals to different audiences. A site that’s tailored to the viewing / interacting / purchasing preferences of each respective target audience. Typically you will aim to customize the messaging, sales content and collaterals, and other marketing strategies so that they’re more likely to be ‘hooks’ for that demographic. For example, a website for communications professionals will use a different approach than one for a staffing agency, for example, and this means that so a cross-over product (e.g., copy / scan / fax machines) might prove to be challenging to pitch effectively on a single site. It’s in these situations where the business will often consider having 2 (or more) sites with different domains so as to maximize the effectiveness with which they promote themselves to multiple specific buyer demographics. Should you take the decidedly narrow view and only consider search engine optimization (SEO), any reputable SEO expert will advise you that multiple domains can hurt your page ranking. That’s because having several keyword-rich domains pointing to your website is of no real specific benefit. 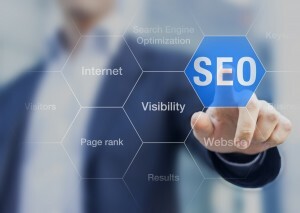 SEO is directed towards a single domain name and will be regulated by site popularity, the volume and type of content featured, keywords located in meta and title fields – not to mention whether or not you’re paying or ‘sponsoring’ your spot in the ‘top 4’ at Google. What’s really most beneficial and should take precedence in your decision making process is taking into account the functionality of the site and how it specifically supports your goals. You should determine very specifically what is the exact role of your website (or sites) when choosing to use more than one URL. Websites that can be identified as serving a simple purpose, like a portfolio of work for example, will be just fine using multiple pages on the same. Or they should be. If the business model is a little bit more multi-leveled, then considering multiple sites is warranted. More work – For starters, each of these sites will require unique content, regular updates, and their own specific SEO optimization. You’ll be spending more time seated in front of the screen, for sure. Increased costs – Unless you’re going to shoulder all of that increased workload on your own, it’s almost certainly going to cost staff time, tech support, and don’t forget that outside vendors are now going to require a pair of paycheques. Yes, there can be economies of scale for hosting and other services to an extent, but that needs to be weighed against the value added to the goals for the sites. Organization – You’re going to have to do more as regards regular maintenance and content updates, plus you’ll have to ensure your marketing messages are consistent across all platforms, including the websites themselves. 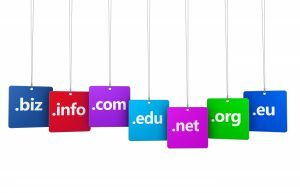 Multiple Domains are Suitable When.. Most people won’t need to be reminded that 1-size does not fit all when it comes to communicating with different audiences online. Each group has its own set of needs and expectations about how products or services fit their needs. When an array of messages is required, separate sites makes it possible to tailor content as well as approach an individual group. Niche websites always tend to more appealing as compared to large, generic ones. Larger are prone to having too much overlap with a competing site, and this diminishes the likelihood of being able to get the value you need from links. Niche sites are ideal for allowing the kind of specialization that makes them helpful with complementing the information (or services) of other sites. Name changes are more common in certain industries. An accounting or law firm might change associates or partners, adding new names or removing that of a retiree. In addition, if an affiliation exists with a parent company, such as a broker with being part of a larger umbrella of multiple provincial or regional offices, wholesale changes can result from rebranding efforts and the like. In these and other cases, multiple domain names can be helpful in leveraging an established identity or geographic presence. Those of you doing business in multiple countries might want to consider having separate sites for each geographic location. Localizing the colors, images, and content to match the social and cultural norms will serve to make your site much more user-friendly. Further, matching local preferences and habits can make it so that the URL is easier to find. Multiple Domains are Less Suitable When.. Your Challenges in Managing Multiple Domain Sites are Primarily SEO related. When it comes to page rankings, at the most basic level there is zero benefit to having multiple sites, while there very well could be negatives. Garnering bad links to phishing sites is one example, and if it occurs that requires significant technical troubleshooting. Most people are inclined to look up a company by name, and that means multiple domain names can make it difficult (or confusing) for a prospect or customer to find what they need. Frequent changing of one or more of the domain names can hurt the site’s credibility. As mentioned, the time and money that will be required of your for building and maintenance (including troubleshooting) increase in line with the number of sites you’re maintaining. Depending on your brand, separating products and services between different sites could undermine the power and market influence of the company. Anyone who’s eyeing a possible merge into a single website will need to keep in mind that the migration needs to be done correctly (and that will come with significant expense). All this said, it’s entirely true that a single website can support multiple product lines and services, but the catch is that it’s got to be decidedly easy to navigate. That needs to be the primary motivation you’ve got to keep at the forefront in your mind, rather than focusing on the ease or low cost of design maintenance. So, any feedback? Are you a multiple domain holder for your site(s) based on your type of business interests, or the nature of the business itself? Or is a single domain perfectly sufficient for your needs? We’re all familiar with what it means to ‘vouch’ for someone or something. 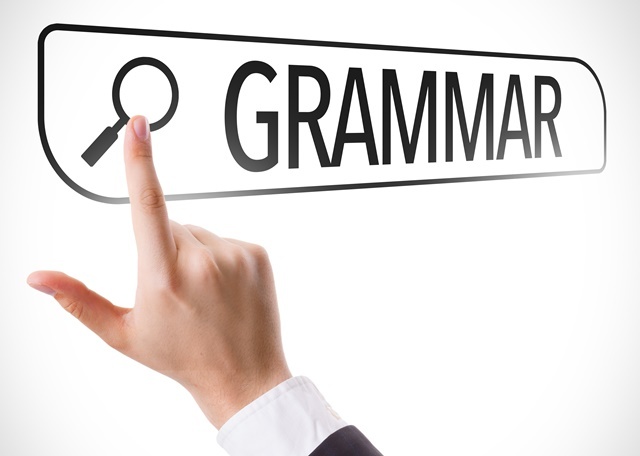 That is, to say that you can attest to the quality or reliability of that individual or product. Many of those competing in the online world may not know the value of link building, however, but your Canadian web hosting provider will be explicitly aware of that value. Google of course is the world’s premier search engine, and it uses links to measure the authority of web pages. If a web page attracts links from other pages Google’s algorithm, the software it uses to rank pages and decide which page is number one for a search result increases the importance of a page – and thus how high it places in search engine results. So in a sense it’s just like a vouch for that page – you feel there’s value there, and you’re recommending visitors might want to consider visiting it via your page to gain more in the way of quality information on the subject. So let’s now take a look at some of the more common link building techniques, and ones that will be much easier to incorporate into your webpages, blog, or other digital communications. Forums – Link building techniques using forums typically involve creating a profile page and a signature link. Signature links allow links to be created at the bottom of posts or comments left in a forum. Signature links tend to be regarded as low quality though, and while they may send a measurable amount of traffic they likely won’t have any long lasting impact on the pages you link them to. These links are not merit based, and search engines – Google in particular – are getting better at ignoring these links and assigning them no value. Link Farms – The link farm technique is a standard approach form SEO companies. A link farm can often have a vast number of websites and web pages within it, all under the control of the individual link builder. Building a link farm link allows them to offer a set number of links for a specific fee, and the extent to which this can be done is pretty much unlimited. Where link farming becomes problematic is when it’s discovered by the search engines. If that occurs – and it does much more frequently these days – the links within them will cease to have any positive impact on the sites they link to. Directories – These are useful and can create links that are nearly guaranteed to provide some value in the sense of attracting traffic to your website. However, they are a form of spam and, as with other spam techniques, links from directories tend to not be merit based and will almost always carry next to no weight in terms of helping to increase your ranking. Notable exceptions here include the DMOZ directory and Yahoo, among others. Hubs – These are pages created on services like Squidoo. Hub pages, or lenses as they are also referred to, are a great idea and allow people to create pages about a subject matter they are passionate about. The issue here is in the fact that spammers have also realized it’s an easy way to create pages for more illegitimate link building. As a result, using hubs as part of your link building for better SEO isn’t as highly recommended. Blogs – Genuine blogs are a great source of landing spots for outbound links with your link building. But be wary of those that are known as SPLOGS, meaning spam blogs. They tend to be a favourite spot for link spammers. The most common technique for this spam approach is to leave a comment and associated link to their client’s website. Long story short, an outbound link of this variety will have little value other than a very small amount of web traffic, unless your comment happens to be on a high traffic popular blog. Most however tend to be deleted by the blog’s webmaster. Social bookmarks – Once upon a time in the early days of Internet marketing, social bookmarking sites were a source of valuable links. Yet again, link spammers have spoiled that for everyone. Most of the credible bookmarking sites now categorize these links as nofollow links, so it’s best to look past them when weighing which ones might work well for you. Be in touch with us here at 4GoodHosting to learn more about the most effective ways to improve website SEO, including ways to incorporate link building. We want to get ahead, and we imagine you do too. Let’s talk! Being a big part of our daily lives, social media networks can provide a great way to influence your own life and those of others. Did you know that more than 30 percent of world’s population are using sites like Facebook and Twitter all the time? First of all, there are 2.3 billion active social media accounts in the world. This means that almost one in every three people you see walking down the street has a social media account. With so many people using these types of media, it’s natural that businesses viewing them as a marketing channel. It’s not as easy as just getting people to ‘follow’ you, and it’s important to understand how to run it properly and “dig deeper”. Here are 21 tips on how to boost your social media engagement to firmly establish your brand’s identity online via social media. In an ever-crowded sea of users and posted content, you should learn to analyze and observe the activity of your defined audience. You want to post daily, but posting incessantly is definitely something you DON’T want to do. It is important to find the right way to influence your target audience at a right time with the right “dosage.” Don’t flood your social profile with innumerable – rather just keep them updated with good judgement with when and how often you contact them. It’s true that more people trust a brand that is active on social media, but it’s possible to overdo it and that’s a no-no for any business – or individual for that matter. So you’re left asking – That’s great, but when is the best time to post? This depends on two major factors; first, your industry and the social media channel(s) you’ve chosen to be in touch with your customers and/or interest groups. Research has indicated that Facebook posts in general do better on Thursdays and Fridays, while Wednesdays at around 3pm are times for Twitter, depending on the time zone of your audience of course. These are based on averages across multiple industries. Tools like Fanpage Karma can be very helpful for determining the best time to post your own content. It may also help to take a look at analytical tools inside each social channel. Facebook, Twitter and YouTube all offer page analytics for users. Some studies have shown that content presented in certain lengths in specific social channels perform better. According to one of the widely popular social marketing platforms Buffer, keying your posts to specifics can be very beneficial. 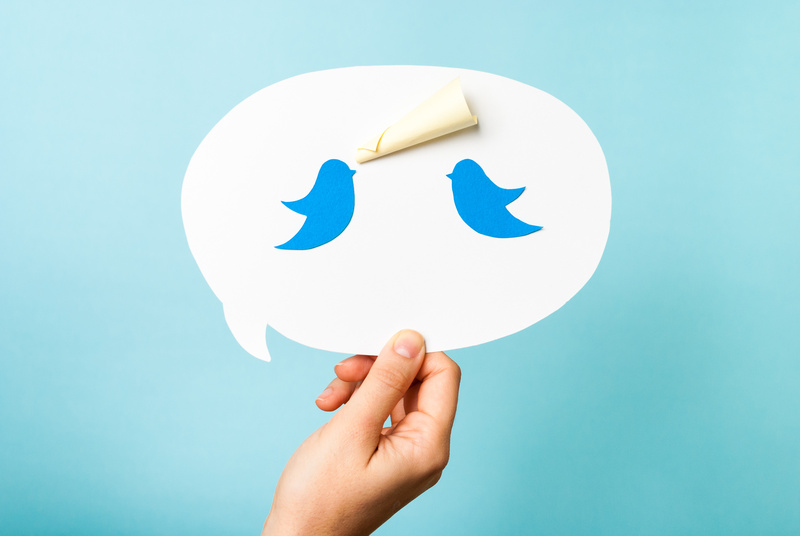 For instance, Tweets between 71 and 100 characters have a 17% higher engagement rate. Facebook posts with approximately 40 characters are 86% more likely to engage fans as opposed to longer pieces. The most popular YouTube videos are less than three minutes long. Always be ready to improvise and test certain patterns, you can always discover a new way and it might just be that one thing that boosts your content’s appearance rates where you want it to be seen. 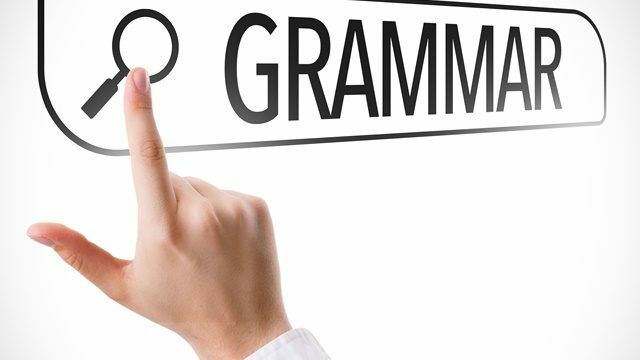 Keep an eye on number of characters and description that you use in your post. As kids, most of us look at the images before even laying an eye on a single character of any book. Image is important to us because there is an immediate visual stimulus from the eye to the brain. According to WebDAM, social posts that include imagery have a higher engagement rate by 650 % as compared to plain text. In fact, more than 90% of what we learn is through visualization. Adding a photo with a link could easily enhance your interaction with those who follow you on sites like Facebook and Twitter, and adding images is surprisingly easy. Emojis are simple but powerful, and they’re a magical tool that can increase comments on a post by 33%! That may in part have to do with the visual aspect mentioned above, but they also add the human element to it – showing feelings and ‘emotions’ as their name suggest. They’re highly recommended for Facebook, Twitter and even SMS text marketing, and for ads they can and should even be included in the subject lines. All it takes is an extra set of characters when creating your post to increase interaction by up to a third and make your post much more interactive. This is another simple yet powerful tool for most social media networks – be engaged yourself and you’ll promote further engagement and garner followers. It is a widespread method of sharing your info and thoughts on the Internet. Facebook experienced more than 25 billion “likes” within posts on the group platform in 2015, so don’t be afraid to spread the ‘likes’ around and comment on content that you find interesting, appealing, or both. Most of us want to have an impact across the world. We want everyone to hear our message. By using a hashtag with any primary term for your product or content, you can include comments within virtually any conversation. With Twitter being so powerful (more than 313 million active users each month), there’s a lot to gain from putting your hashtags out there. For example, using “#Love” puts your message in front of everyone currently reading about “love.” The right comment – either positive or negative – has the potential to engage thousands of readers almost immediately. Never underestimate the true power of a good call to action. According to Adroll.com, these simple but yet powerful snippets can make people up to 3x more likely to click ‘through’ your content if you, quite simply, ‘tell’ them to do it. A call to action is when you suggest to your readers to click to a link, make a phone call or interact with the company in some way using certain phrases like “Click to get 10% discount”, “Call us and get a free 10-day trial” etc. If there’s perceived value there, and they’re part of your audience, they’ll be enticed. No one wakes up in the morning thinking today’s going to be the day for a bad piece of content. However, not everyone takes the time to make it picturesque either. Use content marketing tools and analytics to create something “worth waiting for”. The more value someone finds within your content, the more likely he or she will be to share it. Try writing something unique and special. Keep in mind that if you write on something that you are interested in, the more likely others of the same interest will read it and share it. Another good tip is to use sharing tools such as SproutSocial or Buffer. Tools such as these can help you share content across a wide scope of social media while saving you a lot of time. Now that you know how powerful images and Emoji’s are, imagine tons of images presented in a matter of second. That’s what Video can do for you! Video content generates approximately 1200% more shares than using text and images combined. This includes everything from in-depth video programming video tutorials to a six-second Vine clip. If you can make someone laugh, all the better. People want to be entertained as well as be educated. Making a comical “How Not To” video maybe your way of going viral. Creating a Survey for your guests to use can help engage your audience while helping you learn more about their behaviors and preferences. You’d be amazed by how much data you could gather from those who follow your brand online. A survey can also please your page visitors. It makes them feel like their opinion is important to your business. Put some effort into creating a series of meaningful inquiries that you can use to understand your audience better. It is always nice to get that surprise package from a unexpected friend. Being friendly and open with your customers is one of the key parts of social media marketing. Creating a contest is a nice way of letting your customers and audience know they’re important and that checking you out regularly has its benefits! If you surprise them, there is a high chance they will stay tuned into your social media channel to see what’s coming next. Sometimes a freebie is can be worth its weight in digital gold when it comes to marketing. How many times have you taken a quiz to, for example, “find out who you were in your previous life”? Although this may sound funny, this is just an example of interactive content. This puts the user right in the center of attention and allows him or her to take over control. This adds a great line between you and your audience. It offers them something else to do while keeping them interested. By the way, I was a Bruce Lee in a previous life! Making, writing or creating takes inspiration, imagination and discipline. Making something that will stay true, interesting and unique doesn’t necessarily mean it will, but the key is in the writers hands, giving him or her a chance to open the doors of “time” without ever locking them. One of the reasons why Evergreen blogs are so important is because they can continue to generate visitors for an extremely long period of time. 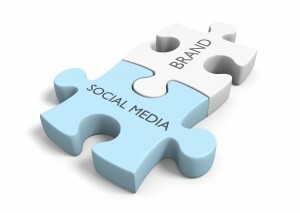 One of the most important parts of social media is how well is it all integrated with each other. For example, you can create a YouTube video and share it on Facebook with a click of the mouse. By the end of 2015, as many as 65% of adults in US were using some kind of social networking site. This even includes those who don’t have Internet in their homes in some cases. 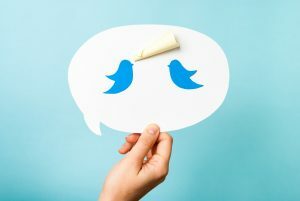 By connecting your social media accounts, you have the potential to broaden your reach while engaging a portion of those individuals. Quotes present a century old voice for our species and it’s easily accessible and broadly used on the Internet. Quotes play an important role since many people see visuals with inspirational messages that causes them to act, share, like or comment. Sometimes quotes can be more effective than anything else you had in mind. If everything fails to surprise, quotes may well do! Events are great way to attract a group of people of same interests to interact with your brand. Webinars, Facebook Live’s and even Google Hangouts can all be used for your company’s purposes. Make experience for your users fun and educational. Most of us live for these types of experiences! Once the event is over, don’t forget to share it on social media. On the internet, email is the standard communication medium. It’s the go-to communication for brands. Email is the most direct channel, it boasts a higher ROI than any other channel and it helps build loyalty and relationships on a much deeper level than any other channel. Right now, more than half the world is connected to an email account. By the end of 2017, email addresses are expected to increase, to about 5 billion accounts worldwide. When sending emails to your small business customers, you need an effective strategy. First impressions are everything. And a welcome email sets the tone for the relationship. So, roll out the red carpet for your customer. According to Experian, welcome emails generate 4x the open rates and 5x the click rates compared to other bulk promotions. Moreover, studies found that subscribers who receive a welcome email increase their long-term engagement with a brand by 33%. Therefore, greet your new customers. Let readers know more about your small business. And tell them what type of emails they will receive in the future. Write in a conversational tone. A welcome email is like a virtual handshake that accepts a new member to your group. It should be inviting and warm. Also, consider the timing of your welcome email. It shouldn’t be two weeks after the customer bought your product or signed up for your newsletter. An adoption email is designed to keep your customers engaged with your products. Once they make a purchase, you want them to actually use it. Adoption emails can be distributed in a timed sequence or to correspond with specific behaviors or actions taken. Like a good concierge, adoption emails acknowledge where recipients are in a progression, offer suggested solutions, and reaffirm motivations for the original purchase decision. These type of email campaigns lead to faster adoption of the products or services being offered, greater incremental revenue, and increased customer loyalty. So, start sending emails with links to video tutorials and how-to guides. And urge customers to contact you if they have any questions or concerns. Build rapport with your customers. Your team’s ability to make customers feel valued is the difference between a good business and a great one. 68% of clients leave because they perceive the business does not care for them. So, start treating customers more like friends and less like sources of revenue. Sending a thank you email shows customers you appreciate them. It’s a simple gesture to build a meaningful connection. Write simple and straightforward. Writing an amazing thank you note doesn’t take long at all, but the impact that it has is huge in today’s digital world. Don’t assume customers know that you appreciate their business. A thank you email is a reminder that you do. And showing signs of appreciation can certainly drive growth. Customer satisfaction is a key factor in maintaining your business. You want buyers happy with your products. Research shows that a 5% increase in customer retention can boost a company’s profitability by 25%. To maintain more customers, make the shopping experience better. Use email to gather feedback from your small business consumers. Learn what they liked and disliked about your services. Collecting customer feedback has to be an integral part of your business process. Getting negative and positive feedbacks are equally important. Don’t be afraid to receive negative reviews. It will only help your team improve your business operations. So, encourage customers to provide honest feedback. Depending on your industry, you may want to attach an incentive to your customer feedback email. Offer the customer a small discount for their feedback. Or promise to give them a shout-out on social media. Improve the customer experience. Ask for feedback. Persuade customers to spend more. People love hearing about discounts and specials offers from their favorite brands. For every $1.00 spent on email marketing, the average return is about $40. And customers are far more likely to use that purchasing power if emails contain compelling discounts. Leverage exclusivity by framing the promotion as a ‘private’ sale. Often times, this type of positioning makes the recipient feel like they’ve specially chosen, which encourages them to take advantage of the special opportunity they’ve been presented with. The example below stresses the exclusivity of the promotion. Plus, the buyer has only two days to shop. Don’t water down the effect by sending promotional emails every single day. They should feel special. Also, create clear calls to action, so customers know it’s a promotion. Highlight the product benefits. Entice customers to buy from your company. Roughly 65% of online shopping carts are abandoned; that’s a lot of missed sales. Use email to lure customers back to your site. A gentle nudge may spark a desire to buy a forgotten product or service. An abandoned shopping cart does not automatically translate to a ‘lost sale,’ because three-fourths of shoppers who have abandoned shopping carts say they plan to return to the retailer’s website or store to make a purchase. And don’t just email customers about their shopping carts. Remind them of the value. Tell your customers why it’s important that they purchase the product. For example, your buyer purchases a monthly supply of vitamins. Encourage them to reorder so they don’t miss a dosage. Email reminders can increase revenue with little investment. Prompt your audience to take action today. Always make an effort to educate your customers. It’s an effective tool to ensure your customers remain engaged. Relevant content informs the customer about topics important to them. Efforts to enhance customers’ knowledge and provide them with the skills and abilities to use critical information can help companies differentiate their service offerings and provide a strong foundation on which to build trusting relationships with customers. But don’t disguise marketing materials as educational. Marketing ploys can quickly turn your customers away. Instead, teach consumers something about the industry. Or even show them new ways to use your product. Moreover, educated customers make the best brand ambassadors. With their newfound information, they will be more willing to share your brand with others. Ignorance doesn’t result in confident customers. So, strive to keep your customers informed. 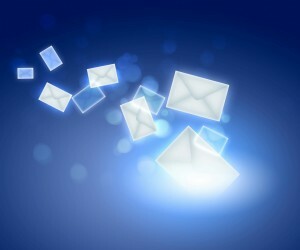 Email helps facilitate the customer relationships. Your team has the opportunity to talk directly with the buyer. Therefore, it’s vital to make every email account. Send a welcome message to introduce your brand. Thank customers for their purchases. Send promotional discounts. And educate the buyer about your product. Initiate communication. Build relationships with email. All our Canadian web hosting plans come with fell email capability.